We are looking for a Product Marketing Executive to manage end to end marketing activities mainly focussing on USA & EUROPE markets. 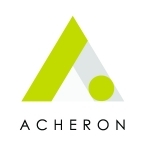 Responsible for communicating the value of Acheron's products and services to the Market and to create accessibility through digital platforms that translate to leads for Sales. - Understanding the product offerings of Acheron in detail. - Translate Acheron product feature sets into business value for the end-user. - Responsible and own complete Marketing life cycle starting from lead generation to making the final sale. - Define a region-specific marketing plan that supports the regional sales strategy. - Strategize, build and execute integrated field campaigns that involve email marketing and other channels as you see fit. - Responsible for planning, Forecasting, implementation and lead execution of overall go-to-market strategy involving business growth accountability, customers and channel partner engagement, marketing and demand generation plans. - Develop business proposals for new and existing customers. Review and communicate proposals and cost estimates with internal stakeholders. - Organizing events and product exhibitions. Participate in industry forums, client discussions, and conferences as a representative of the organization. - Working internally with sales management team to ensure proper quality and quantity of demonstrations. - Report daily basis on the status of field marketing activities. - Maintain a knowledge repository of clients, referrals, prospects and presentations. - BBA/MBA(Marketing)/B.Tech(IT/CSC) with 2 to 5 years of experience in Software Product Marketing. - Knowledge in Sales process is an added advantage. - Highly organized and proficient at managing multiple assignments at the same time. - Must have ability to use Project Management, MS Word, Excel tools and PPT. - Strong interpersonal and communication skills on both verbal and written.